This lecture aims at introducing the concept of biopolitics, along with the multifaceted policies and practices this concept entails, into the field of Russian studies. Biopolitics not only brings up the issues of corporeality and sexuality at the top of political agenda; it also contains strong religious components, selective migration policy, and constructs new identities and loyalties on the basis of citizenship and passportization policies. In Russia biopolitics plays two roles – it stabilizes relations of power through control and regulation over people's bodies, and it constructs a new basis for post-ideological legitimacy grounded not in a strict adherence to the laws, but rather in a feeling of belonging to a “biopolitical community” imagined as being cemented by shared or common attitudes to and understanding of biopolitical norms, and by submission of individuals to mechanisms of biopolitical surveillance, control and regulation. The enactment of these mechanisms becomes possible on the basis of practices that contain strong potentialities for biopolitical totalization. Russia’s biopolitical project is characterized by the projection of conservative values and building political coalitions on the basis of resisting the Western liberal emancipatory biopolitics (exemplified, in particular, by EU principles of gender equality, anti-discrimination, pro-tolerance, etc.). 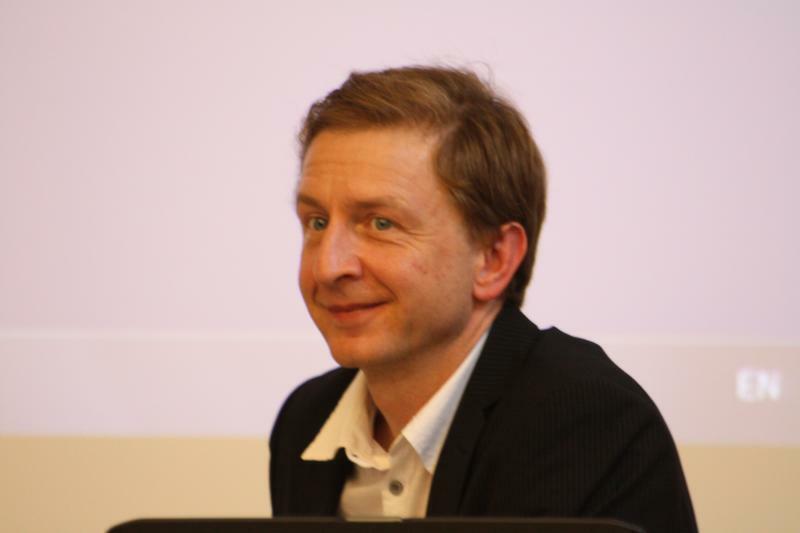 ANDREY MAKARYCHEV is Visiting Professor at Johan Skytte Institute of Political Science, University of Tartu. He is also guest Professor at Center for Global Politics, Free University in Berlin and Senior Associate with CIDOB think tank in Barcelona. His previous institutional affiliations included George Mason University (US), Center for Security Studies and Conflict Research (ETH Zurich), and Danish Institute of International Studies. Andrey Makarychev teaches courses on "Globalization", "Regime Change in post-Soviet Eurasia", "EU-Russia Relations", "Regionalism and Integration in the post-Soviet Area", "Media in Russia". In recent years he co-authored two monographs - "Celebrating Borderlands in a Wider Europe: Nations and Identities in Ukraine, Georgia and Estonia" (Nomos, 2016), and "Lotman's Cultural Semiotics and the Political" (Rowman and Littlefield, 2017). He co-edited (all with Alexandra Yatsyk) a number of academic volumes - "Mega Events in post-Soviet Eurasia: Shifting Borderlands of Inclusion and Exclusion" (Palgrave Macmillan, 2016), "Vocabularies of International Relations after the Crisis in Ukraine (Routledge, 2017); "Borders in the Baltic Sea Region: Suturing the Ruptures" (Palgrave Macmillan, 2017). If you would like to nominate a future speaker, please send an email to Rafal Szymanowski <rafal.szymanowski@berkeley.edu> or Daniel Kim <ddk@berkeley.edu>.